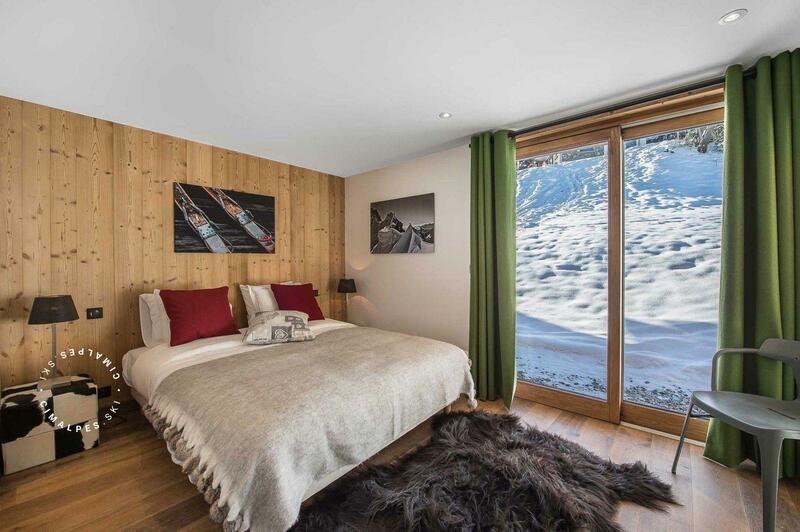 The chalet Ancolie, located in the neighbourhood of Brigues in Courchevel Village, has an excellent location close to the resort centre and the ski slopes. 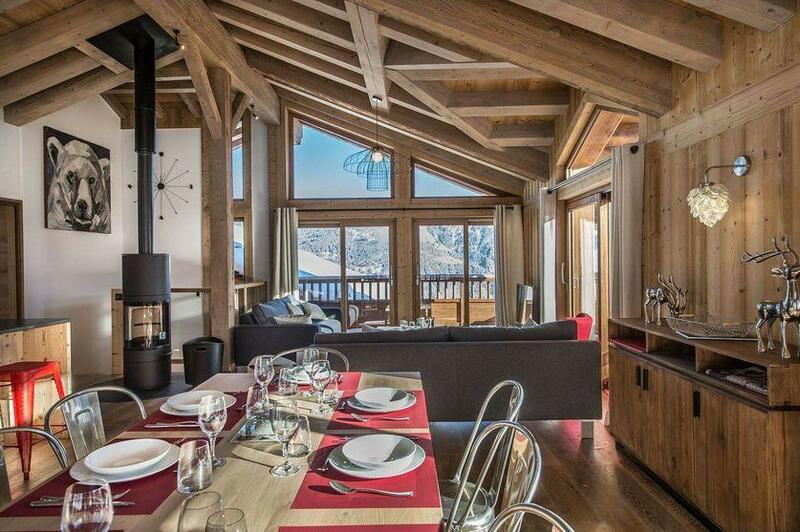 This family chalet is the promise of beautiful moments of conviviality and sharing. 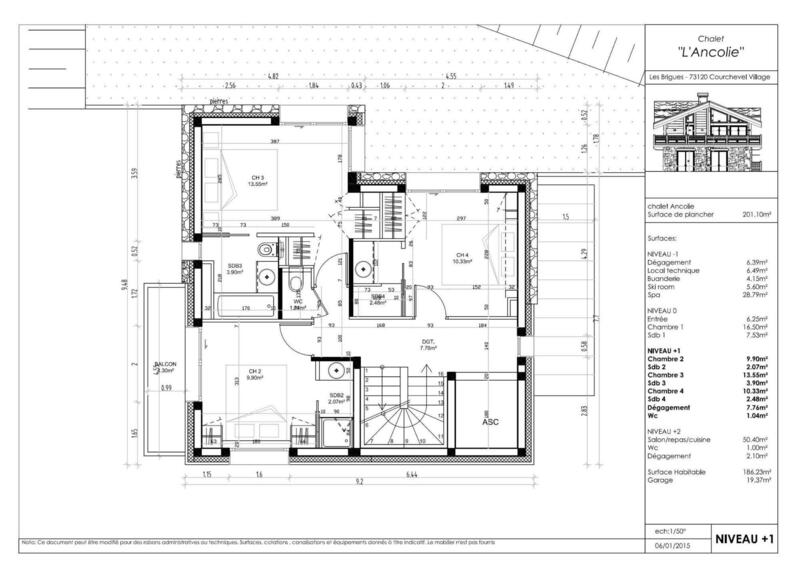 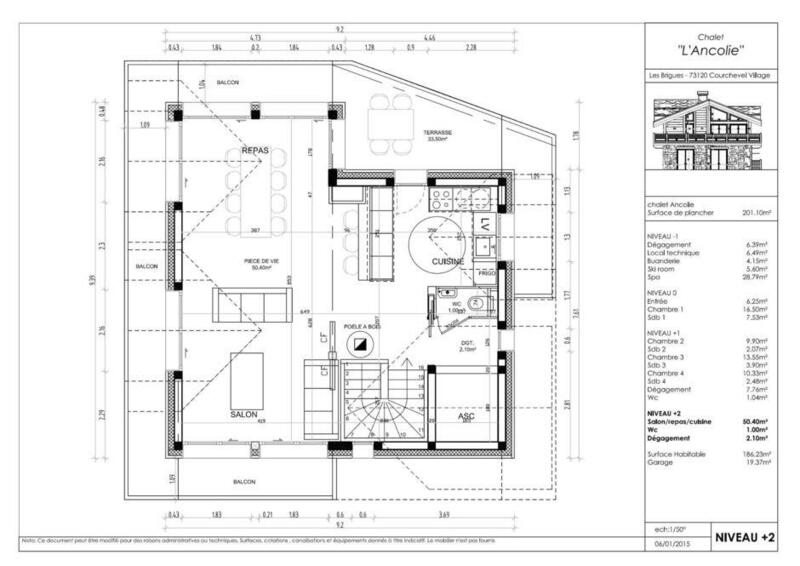 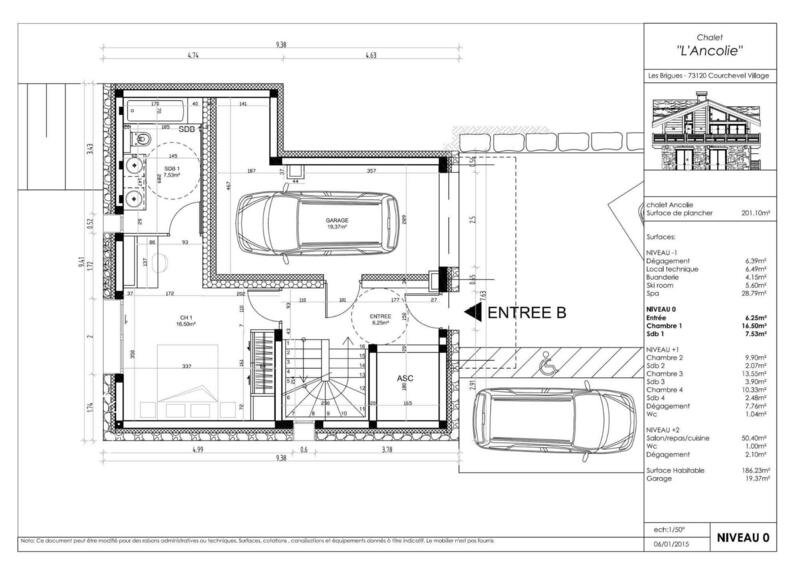 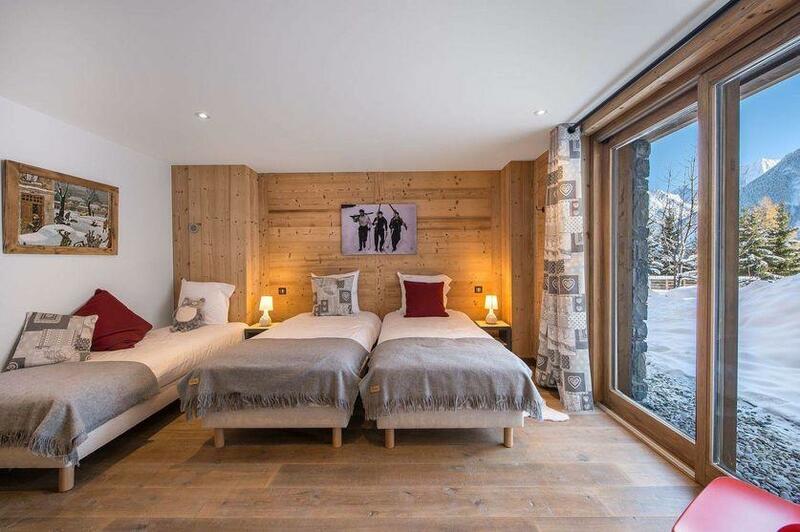 The construction project Ancolie was started in 2014 under the direction of the Lyon agency Gilbert and Associates who had several chalet projects in Courchevel. In 2015, we discovered this family chalet decorated and ready to welcome its first occupants. Inside the lines are clean and the furniture is very contemporary, it is sublimely enhanced by warm and authentic decorative touches that recall the origins of the Savoyard chalet Ancolie. 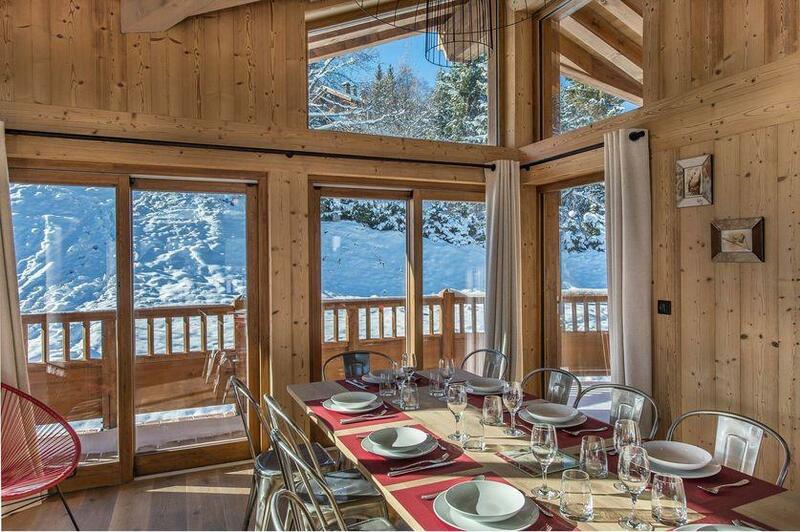 Light wood dresses all surfaces of this family chalet, cleverly highlighted by the many glazed openings offering wide views of the surrounding glaciers and the quiet of the surrounding nature. 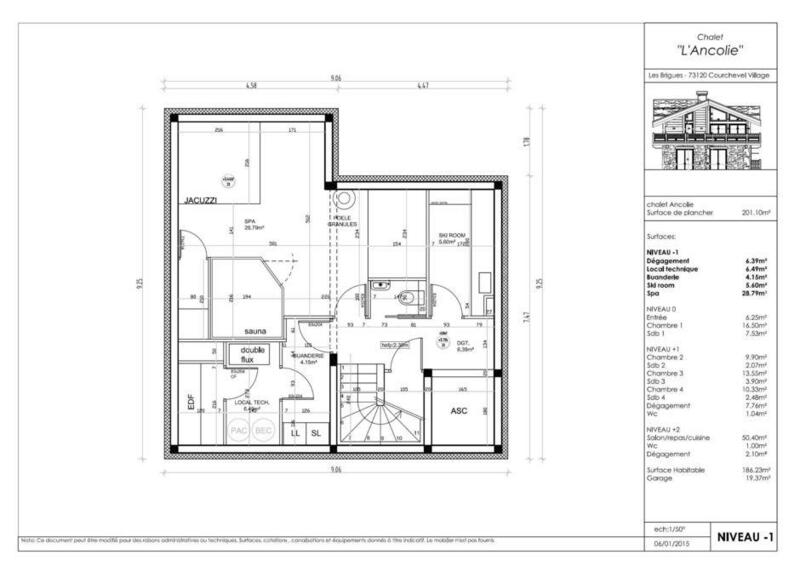 Enjoy spacious and upscale amenities offered by the chalet Ancolie. 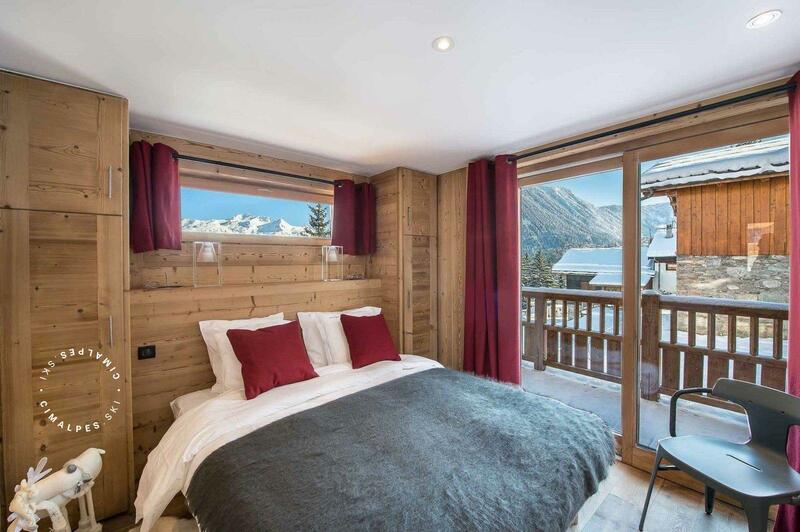 This family chalet sleeps nine people in its two double bedrooms en-suite, its twin bedroom suite and the family room also en-suite with three single beds, ideal for the younger members of the family. The last level of the chalet hosts a large living room with its cozy living room, wood burning stove, a large dining area and a fully equipped kitchen. 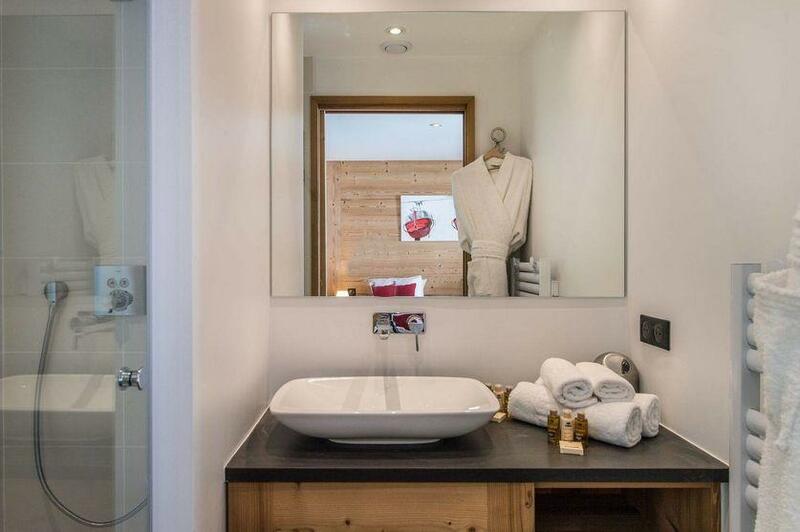 While conversely on the three lowest levels the occupants will benefit after returning from skiing as they will be just steps from the private ski room, a beautiful relaxation area with jacuzzi, sauna and a TV area. The chalet Ancolie is a family chalet in Courchevel Village, ideal for families with children or groups of friends accustomed to the best of real estate. Decoration, upscale amenities and services offered by Cimalpes when renting the chalet Ancolie will ensure the success of your holiday. 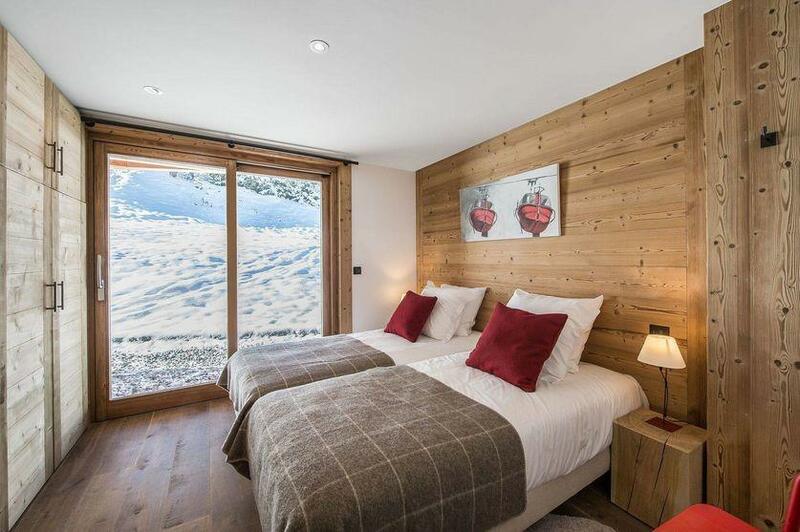 The Ancolie Chalet is located 200 metres from a pedestrian walkway which leads to the snow front. 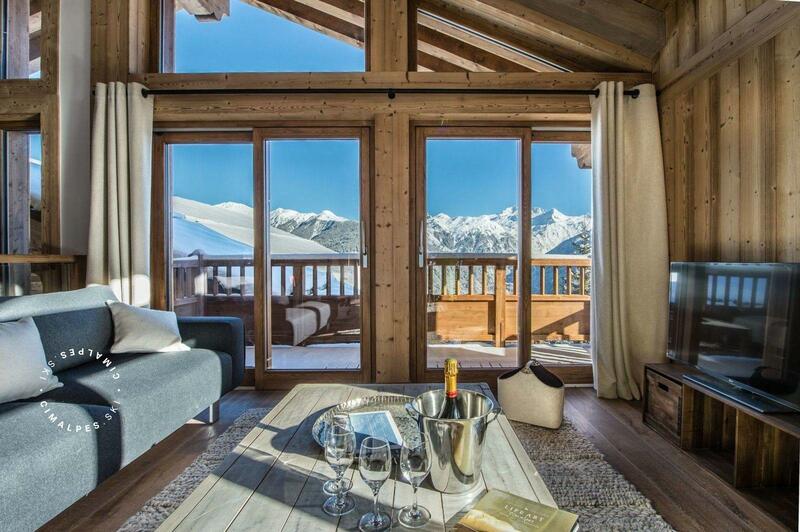 You can find the gondola that leads directly to the Grangettes in Courchevel 1850 in just 5 minutes. 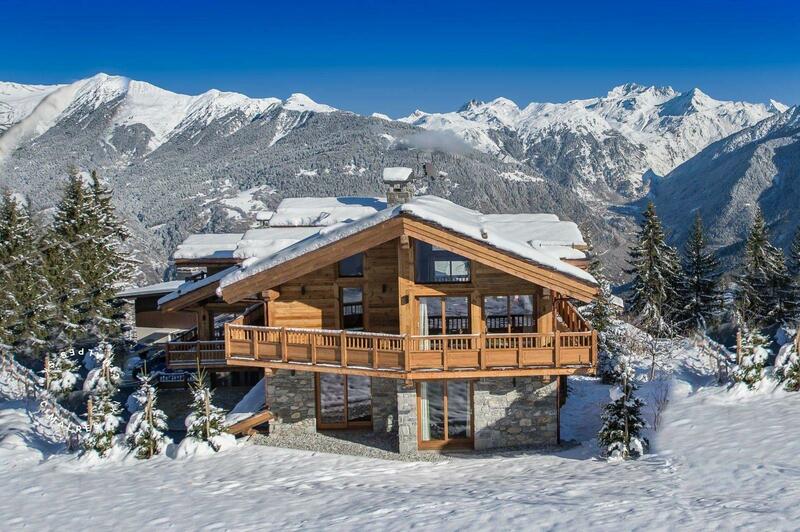 The shuttle stop to the resort centre is 250 metres from the chalet. 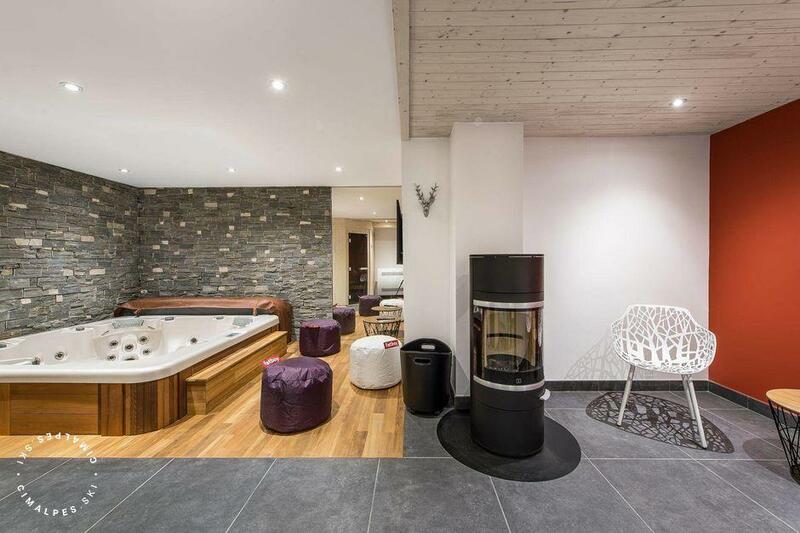 This family chalet is equipped with high end facilities that make it very comfortable to live in, but also very functional. 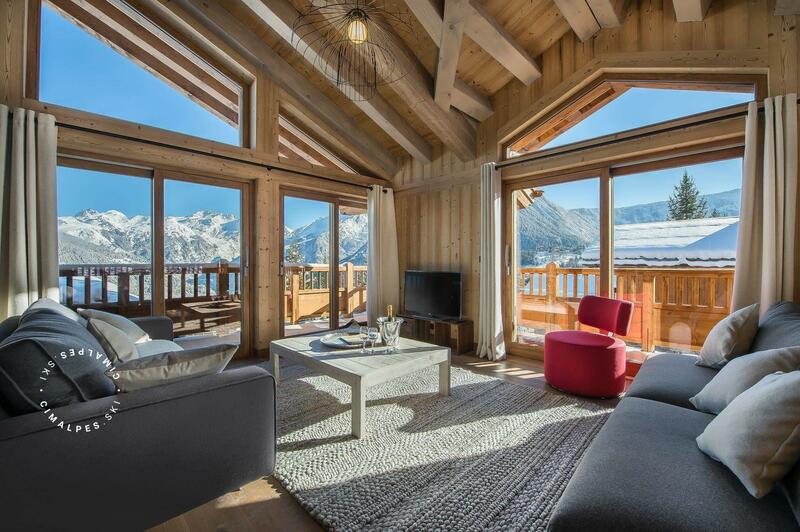 Living area : Cozy living room with large bay windows offering magnificent views of the summits. 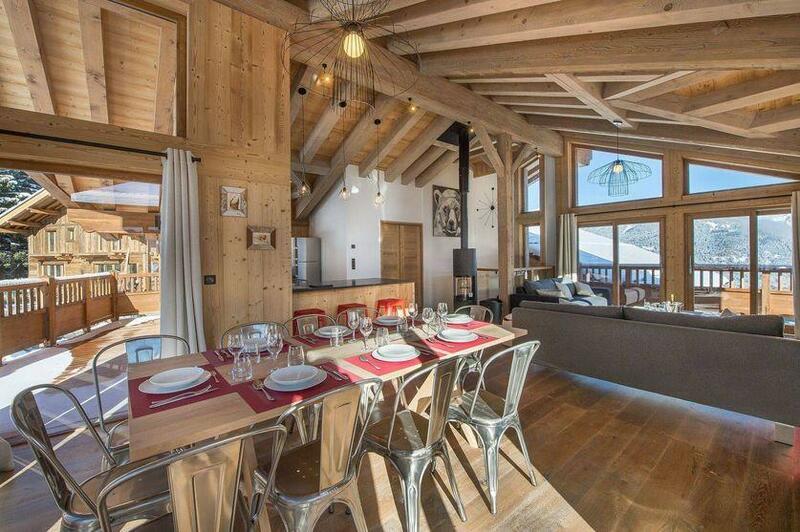 The Ancolie is a beautiful new chalet decorated in traditional style. 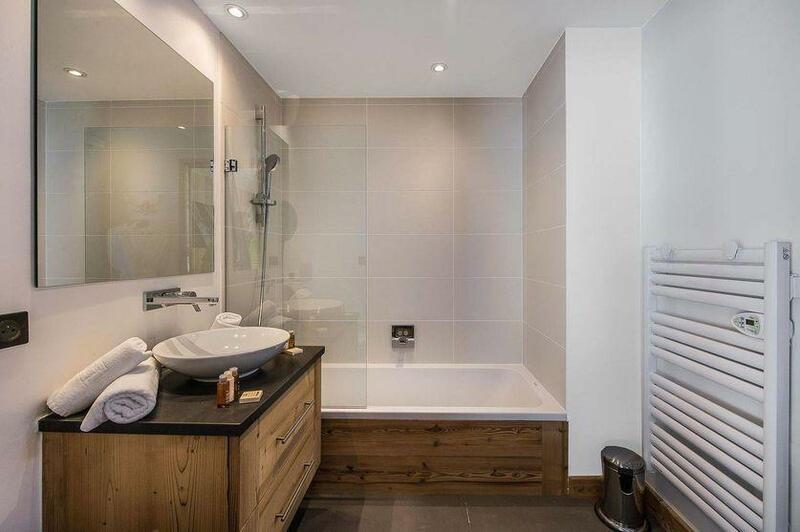 It offers wonderful views and has a nice relaxation area. It is only 200 metres from a pedestrian pathway that leads to the snowfront. 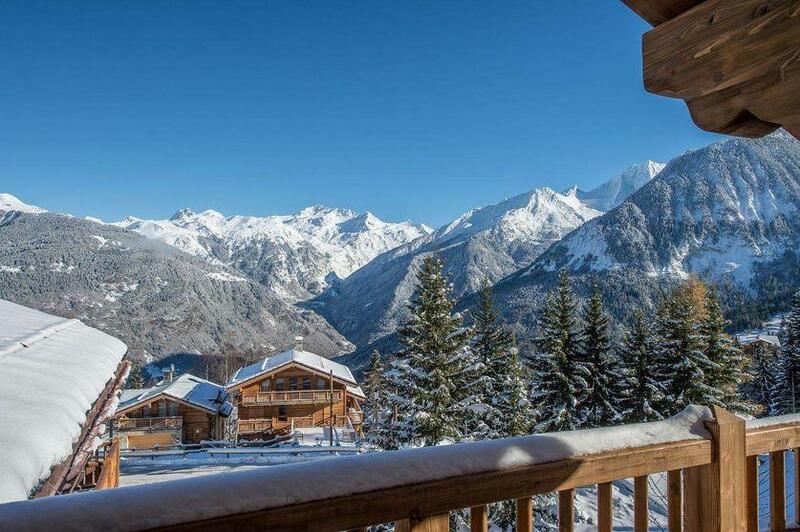 There is a shuttle bus stop not far from the chalet which can take you to the centre. 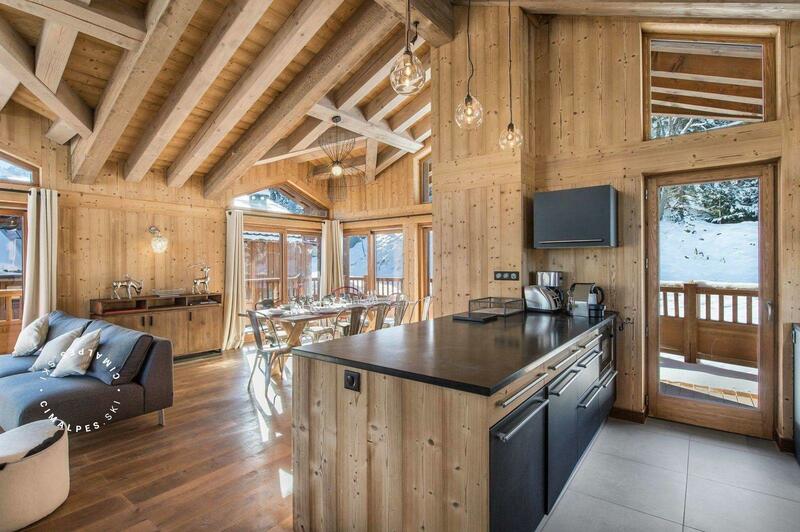 Ideal chalet for a stay with family or friends. 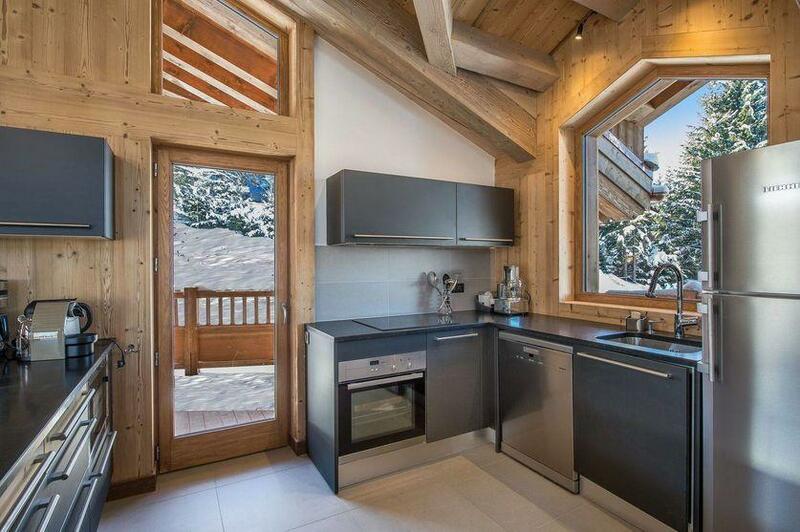 Located in a quiet area and just few meters from the ski slopes.